When will be Two Doors Down next episode air date? Is Two Doors Down renewed or cancelled? 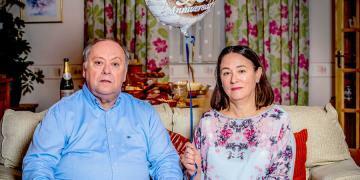 Where to countdown Two Doors Down air dates? 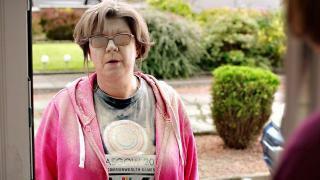 Is Two Doors Down worth watching? Comedy centred around a couple and their insufferable neighbours. Beth and Cathy think they are doing their good deed for the day when they drop Christine off at the hospital reception, but while Cathy manages to slip away, poor Beth doesn't get off so lightly and is committed to a visit post-op. With a long list of demands from Christine, Beth and Eric return later with her supplies to find that instead of being sore and exhausted after surgery, she has been sleeping off her dinner. It emerges the operation has been postponed until the following morning. As nurse Heather weathers Christine's demands, Colin arrives followed by Michelle and Alan. The ensuing group discussion leaves Christine very worried about her chances of survival. Gordon's parents Graham and Sandra visit Scotland from Yorkshire and Ian and Gordon bring them to Latimer Crescent to meet Beth and Eric. Christine turns up with her own take on the Scottish attractions to visit, at which point Ian and Gordon grab the opportunity to pop out for some herbal tea for Sandra. When they get back, Cathy and Colin have arrived after sensing there may be the chance of a drink, and the chat has turned to further delights for visitors to Scotland. And the men step outside to admire Graham's beautifully restored vintage car. Despite the interference of the unexpected guests, the tea party is all going rather well until the conversation turns to Scotland's sporting successes. With their house in turmoil in the midst of the redecoration, new Latimer Crescent residents Alan and Michelle take refuge from the floor sanding at Beth and Eric's house. Michelle is keen that they are not going to be a nuisance and tries to get to bed as early as possible, but just as she heads upstairs, Christine arrives bearing rhubarb. Hot on her heels are Cathy and Colin, who turn up with the leftovers from their restaurant meal. And Alan realises that it is not easy to leave the sawdust behind - discovering it in the most inconvenient of places. As the episode opens, Michelle and Alan are making the last minute tidy-ups before the neighbours arrive for the housewarming of their freshly decorated home. Beth and Eric are first in the door, followed by Christine wearing an eye patch (from a rogue newspaper eye-scratching incident), with Colin and Cathy not far behind. Cathy is of course not backward in coming forward with less than complimentary comments about the couple's new-look home. Then in comes Louise, Michelle's long-term friend, who has unexpectedly come by to drop off a housewarming gift. As Louise is deaf, she and Michelle talk in sign language, further frustrating Cathy's determination to be the centre of attention. 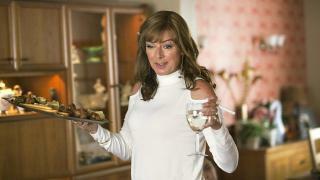 Two Doors Down next episode air date provides TVMaze for you. 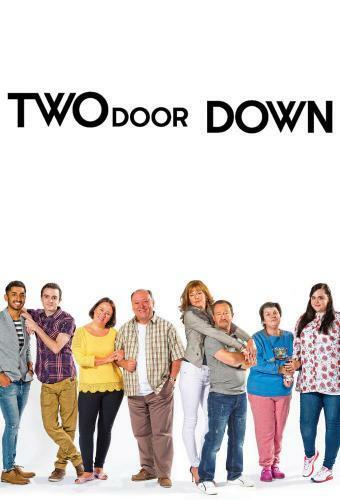 EpisoDate.com is your TV show guide to Countdown Two Doors Down Episode Air Dates and to stay in touch with Two Doors Down next episode Air Date and your others favorite TV Shows. Add the shows you like to a "Watchlist" and let the site take it from there.